Most collectors going for a full run of Amazing Spider-Man will probably identify ASM #28 as the bane of their existence. Not because it’s a particularly hard to find issue, or even all that expensive (relative to earlier issues of the series, of course). They’re probably cursing that issue because of that stupid black cover. Those of you who have had experience chasing this issue down know exactly what I’m talking about. That black cover, with even the slightest amount of creasing and wear and tear makes the entire issue look like total garbage. For someone like me who’s chasing after lower-grade, but still visually respectable copies of Amazing Spider-Man, it’s nearly impossible to find an acceptable-looking ASM #28. During moments where I think deep thoughts about comic books, I’ll question the genesis of this cover and the person at Marvel who signed off on it. But then I remember that in 1965 when this issue was first released, nobody had an inkling that these little kid books would be worth hundreds and thousands of dollars. This black, ominous cover is actually quite visually striking when compared to the first 27 issues of the title and I’d wager that kids (and adults) picking out a comic book at the candy store were probably blown away by something that looked so different from every other comic book on the rack. But that justification doesn’t change the difficulty of finding a decent copy of this issue. 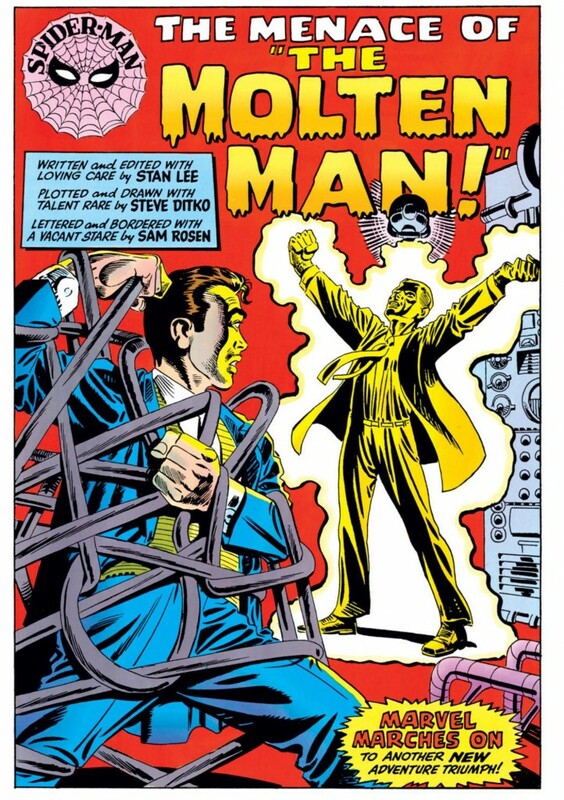 Even for those of you who aren’t ASM completists – it’s a key issue of from the series and in Marvel history. 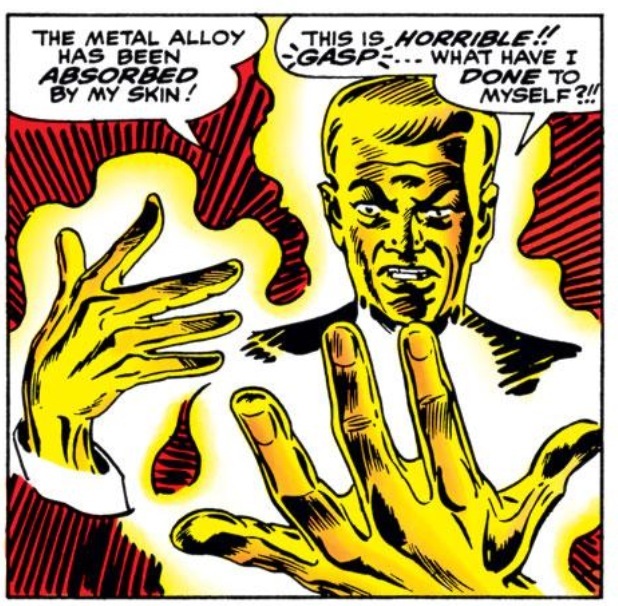 Not only is it the first appearance of the villain Molten Man, but it also marks Peter Parker’s high school graduation – a milestone event that marked the transition of Marvel’s most famous superhero from anguished teenager to troubled adult. 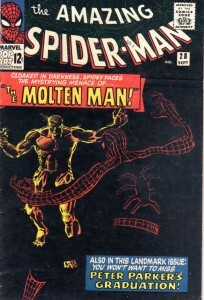 So if you’re a Spidey fan at all and a comic book collector, you’re bound to cross paths with this issue at some point. 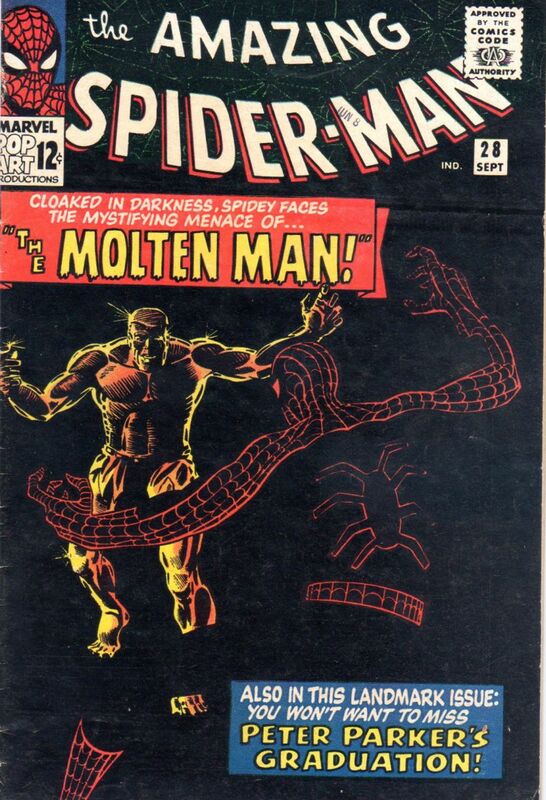 What makes the story of my acquisition of this issue all the more impressive is despite how difficult it is to find a decent looking low-grade copy, I actually played no role in the purchase of this comic. It was a gift from my wife for our second wedding anniversary. To say I was surprised to receive this specific issue of ASM was a bit of an understatement. As I was opening the gift (it was our “cotton” anniversary so per the rules my wife and I instituted, the comic book was wrapped in a cotton gift – in this case a sweatshirt) and started to recognize that troubling black cover, I instantly started to get nervous. I appreciated what my wife was trying to do here, but if she ended up botching the purchase of this comic book, I would have a hard time concealing the look of angst on my face. She had just started to buy me comic books as presents a year earlier and she was still learning the nuances/terminology of the grading/pricing process. But she absolutely nailed it. 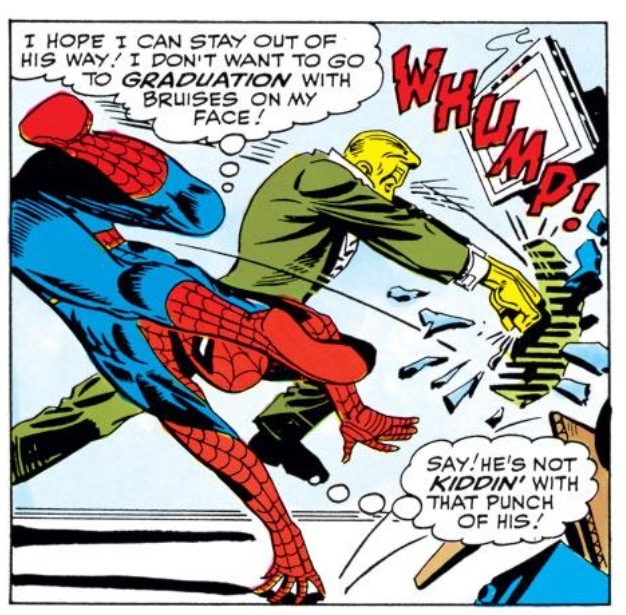 In fact, I wouldn’t have picked a better looking low-grade ASM #28 myself. There’s a little bit of a spine roll which detracts, and the pages on the inside are their crispest and whitest, but she managed to find a VG copy with a very respectable looking cover. So instead of this issue being one of the “regrets” in my collection, its instead one I brandish with a sense of pride – not just for myself, but for the woman who learned quickly and found it for me. It’s worth adding for you collectors out there that having a spouse/girlfriend/loved one be so competent at picking up comic books for you for holidays and such is incredibly refreshing. Because of this experience, when I get asked that ever-annoying question, “what do you want for X holiday,” I can just simply point to my list of remaining ASM issues and my wife can determine from there if that’s the direction she wants go without any interference from me. Anytime she picks up a comic book for me, I still view it as a shocking surprise – this whole thing is my childish collection and I understand if she doesn’t want to be an active participant. But at least the shock is from the quality of the gift itself, and not because I’m secretly wondering if some huckster sold her a bag of beans off the back of a truck and called it Amazing Fantasy #15. Same here for looking for low grades and it’s hard at this time as well. How far are you in completing your collection?